Deciding on the type of senior dog nutrition we’re going to go with is challenging, but is this the end of our confusion? I often get feedback from readers of my blog, which I am so grateful for. Hearing from everyone lets me know whether or not I am doing a good job of providing the information they are looking for. What I find interesting, although not surprising, is the number of times the subject of senior dog nutrition comes up. They find so much written about this topic, too much in fact (their words, not mine!!) that they come away more confused than ever. Organic, all natural, grain free, this added, that taken away, canned food, raw diet! Isn’t dry food essential for cleaning dog’s teeth? See what I mean! 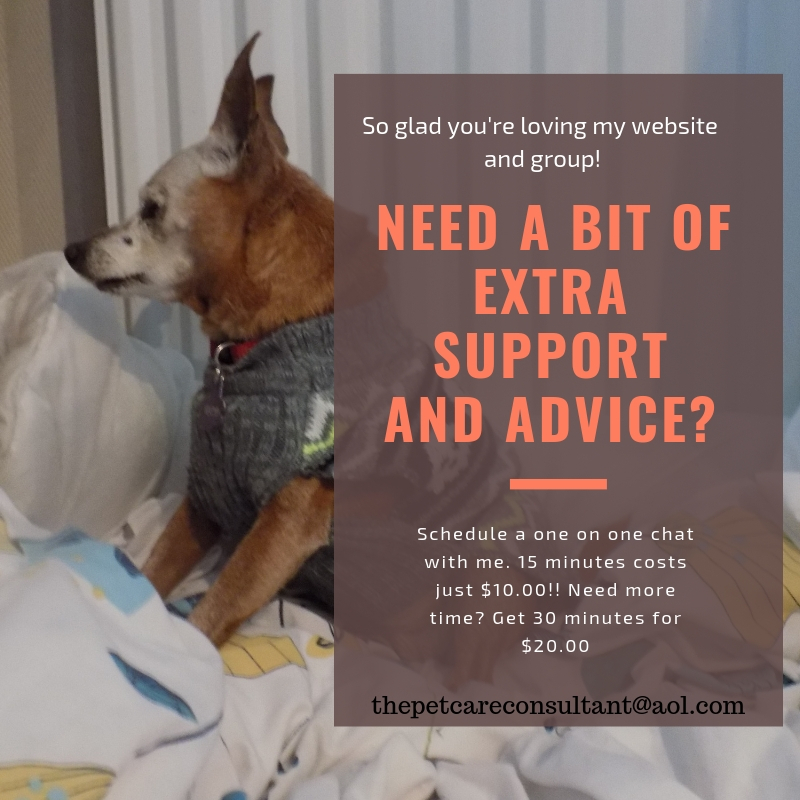 I don’t believe there is a “one size fits all” solution to that dilemma, especially if your dog has health challenges and may benefit from eating a condition specific diet, which I should imagine your vet has already discussed with you. The subject of pet nutrition, and specifically senior dog nutrition, really is an interesting one. There’s so much to learn, but I agree with my readers, it can be confusing. So now I get to the point. You may, or may not, be familiar with Dr. Karen Becker. She is a “proactive and integrative wellness veterinarian,” practicing in Illinois. She is passionate about natural health for pets, and I have learned a lot from her resources. I came across a two part video she made called “The Quality of Pet Food Ingredients” that I hope you will enjoy. They are extremely informative, and educational, and they might just be the beginning of the end of your confusion. I would like to add a word of caution – before you buy new food for your dog, please check the ingredient list with your vet, to be sure it is safe for your older dog to eat. If it is, remember to gradually introduce new food into your dog’s diet, a little bit at each meal, over the course of 7-10 days. Too much too soon leads to stomach upset. I am very interested in hearing your feedback about what you just watched. Did you like what Dr. Becker had to say? Did her advice give you something to think about? Has she helped you decide which type of food you would like to try? Leave your feedback in the comment section below. From health and weight concerns, to personal preference and information overload, choosing a brand and type of food is a challenge. 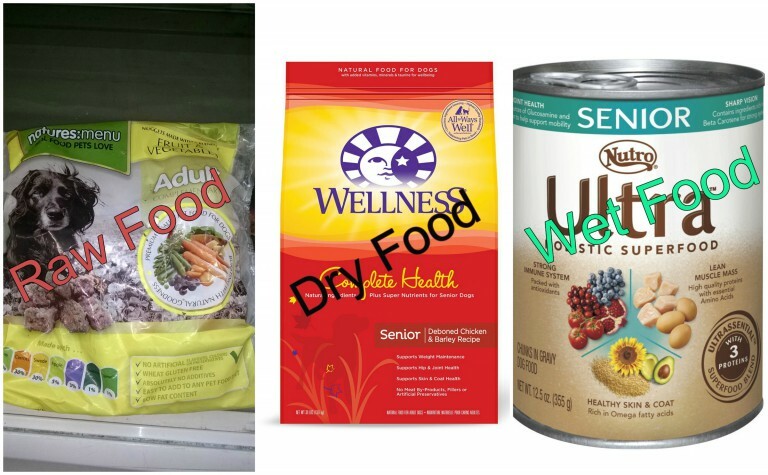 I hope this article has helped clear up some of the confusion surrounding senior dog nutrition, and given you a better idea of the type of food you’d like to see your dog eating. Do you have any recommendations for vegan dog food? I’m afraid my cousin’s dog is not eating well. Our families are both vegetarians, so is our dog apparently. Hi Filbert, I’m sorry I don’t because dogs are not vegetarians. My husband and I are both vegetarians, and it may be a lifestyle suited to us, but certainly not to our dogs. Not sure why you think a vegan diet would help a dog that isn’t eating well. The best advice I can offer, is to get the dog to a vet sooner rather than later. There is a reason why he’s not eating, so you should have me checked out right away. I hope the dog feels better soon. I have two dogs who are approaching mid-life and they are my furbabies. I loved what Dr. Becker had to say in the videos. Our dogs were both at the high end of their weight range and our vet recommended a healthy weight version of a food we were already feeding the dogs. They are now comfortably in the middle of their weight ranges, but with the introduction of higher end food in our local pet store, I’ve been wondering if we should try something new. Dr. Becker’s video confirms that we absolutely must change their diets. During the videos, I went online to read the ingredients in our dogs current food and I’m shocked at the first four lines of ingredients. Too many carbs, unidentified meat sources and additives. And I wonder if they are the cause of Chancy’s itchy skin, which just won’t go away – we’ve tried shampoos and steroids. Thank you for taking the time to post this video. We will be switching dog foods ASAP. Hi Alyssa, I enjoy Dr. Becker’s videos, I think what she says makes so much sense. I’ve become obsessed with reading dog food and treat labels. I’m shocked at the ingredient list on the so called “natural” ones, and in products I always understood to be great quality. Quite an eye opener! I’m sure you know to switch over dog food gradually, not all at once. Sorry, I mention it just in case. Let me know what brand you buy and how they like it!